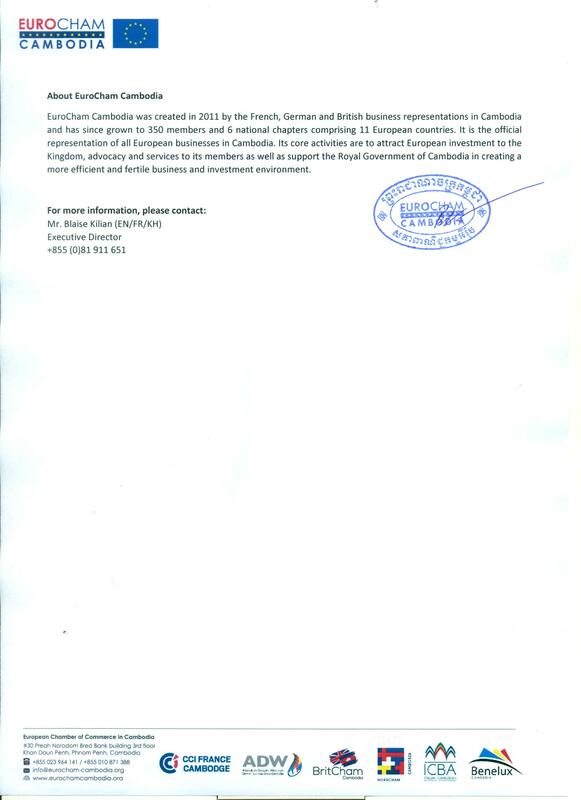 Phnom Penh (FN), Feb. 14 – The European Chamber of Commerce in Cambodia expresses its regret in respect to the decision taken by the European Commission to initiate the formal investigation into a withdrawal of preferences granted to the Kingdom of Cambodia under the Everything But Arms (EBA) agreement, according to the EuroCham’s statement dated 11 February 2019. 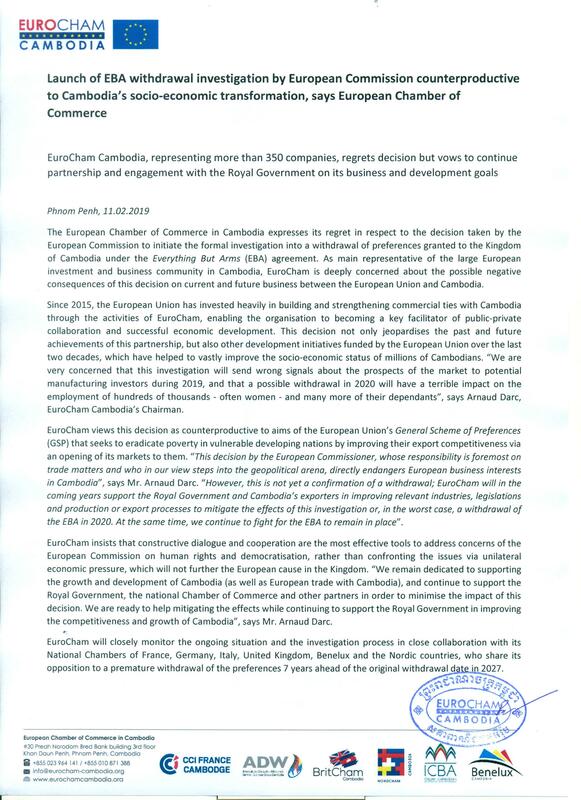 “As main representative of the large European investment and business community in Cambodia, EuroCham is deeply concerned about the possible negative consequences of this decision on current and future business between the European Union and Cambodia,” the statement continued. “EuroCham views this decision as counterproductive to aims of the European Union's General Scheme of Preference (GSP) that seeks to eradicate poverty in vulnerable developing nations by improving their export competitiveness via an opening of its markets to them,” the statement added.